The consensus reached at 3:00 a.m. last Saturday to forge the “Cancun Agreements” was a critical step forward in forging an effective global compact to fight global warming. It was the best possible outcome from a meeting that often teetered on the edge of disaster. But at the end of the day the Mexican hosts delivered on everything they had hoped for. Nonetheless, these agreements will not solve the problem, and some of the hardest issues in forging a climate treaty are still waiting to be addressed. But in a relatively short time, especially for this process, the parties came together on a balanced package of decisions on adaptation, forestry, technology transfer, the structure of climate finance, and other issues, which will be the basis for progress moving forward. Achieving these agreements also vindicates—for now—the U.N. Framework Convention on Climate Change, or UNFCCC. The negotiating body had been on life support for a number of years for failing to negotiate through its own consensus process to move an agreement. Last year, more than 100 world leaders gathered together in Denmark to forge the Copenhagen Accord—the first significant step forward on a climate agreement since the Kyoto Protocol. The UNFCCC, however, could not seal the deal because five countries exercised their effective veto to block the accord as an official decision of the UNFCCC. This left the agreement in limbo throughout the year. This year, with the exception of a lone holdout who the Mexican meeting chair overruled at the last minute, all 194 parties came to an agreement. Together, they turned the core elements of the Copenhagen Accord—expressed in a scant six-page outline last year—into 33 pages of densely packed text that the negotiators will now be bound to use in working for a final agreement. These Cancun Agreements will also set substantive global goals and requirements on adaptation and mitigation for the present. There were a number of issues in play coming into these meetings two weeks ago, any of which could have derailed the process and resulted in no agreements whatsoever. Everyone agreed, though, that a fully fleshed-out climate treaty was not going to emerge this year but were hopeful that issues would be resolved sufficiently to get a “balanced package” of agreements. This package would first address improvements to the Kyoto Protocol and then focus on core issues such as forestry, finance, and technology from the companion negotiating track on Long-Term Cooperative Action, or LCA, which was established in 2007 primarily as a forum for discussing a new climate agreement that would bring in parties who were not bound to reduce their emissions under the Kyoto Protocol, like the United States and China. The stage for achieving this balanced package, however, had not yet been set. While the Copenhagen Accord had set down markers for the building blocks for a package of agreements, many parties didn’t want to use it at all. There was tension throughout the interim negotiating season this past year over whether the Copenhagen Accord could even be used as the basis for discussions moving forward, largely due to the ambiguous outcome of the 2009 Copenhagen meeting. Perhaps sensing this instability, several parties, including China, began walking back on their commitments under the accord and others demanded that it could not be used in any official communication as new treaty language was hashed out to prepare text for consideration at Cancun. One such commitment, and one of utmost importance to the United States, was the compromise language achieved in Copenhagen on a system of measuring, reporting, and verifying emissions, or MRV. For years, developing countries had maintained that they should not be bound—indeed could not be bound under the rules of the UNFCCC—to any system of MRV in part because the Kyoto Protocol did not require them to make any emission reductions. Other parties including the United States insisted that some system of MRV needed to be applied to developing countries especially if their mitigation efforts were tied to financial support from developed countries. The Copenhagen Accord suggested an agreement whereby one system of MRV would be used for mitigation actions by developing countries, which were supported by outside financial support, and another system would be used for actions that were not supported. As early as spring, though, this compromise looked like it had evaporated. But the United States was far from being the only party raising possible hurdles. Japan rocked the meeting at the outset announcing (though in reality just repeating something they had been saying for a year) that they would refuse to sign on to an extension of the Kyoto Protocol, which expires in 2012. Their rationale, however, was sound. The countries in the protocol now only account for less than 30 percent of global emissions and so even the most ambitious mitigation targets in a second commitment period cannot hope to solve the problem. Many other parties, however, reacted in shock and anger. Given that the protocol is the only agreement that binds parties to emission reductions, and that a Japanese withdrawal could lead to the effective end of the protocol if other countries followed, some saw this as an effective end to the goal of achieving a legally binding climate treaty. Unconfirmed reports in Cancun claimed that more than a dozen world leaders had called the Japanese prime minister over the course of the meeting in appeals to reverse the decision though the number was apparently much smaller. The air of the conference hall was thick with rumors up until the final outcome that one or another of these parties would prevent a compromise from emerging. Following reports from late-night negotiations the previous evenings, the biggest worries were about the United States, whose negotiators had been digging in and arguing for substantive changes on several parts of the negotiating text. The daily NGO newsletter for the meeting, “Eco,” led with a story slamming the United States for holding up the process and various organizations were preparing talking points for what they anticipated as a U.S. refusal to sign onto a final package of agreements. Others thought that any developing country invested in the continuance of the Kyoto Protocol might object to any agreement because of Japan’s announcement. Following an elaborate system of consultation, the meeting chair, Mexican Foreign Minister Patricia Espinosa, temporarily stopped the negotiating on Friday afternoon and prepared a chair’s text, which made the hard choices on all points of disagreement. These clean copies of what were christened later as the “Cancun Agreements”—a package of deals from the working groups on the Kyoto Protocol and Long-Term Cooperative Action—were then distributed and a three-hour break was called to absorb them. Distributing copies of a clean agreement, without the usual plethora of brackets around points of disagreement in the text, was a critically important decision. This allowed parties to actually see how the chair’s text would work together as a single compromise document rather than a patchwork of points of contention. When the next plenary started at 9:00 p.m., it was clear from the beginning that the problem would not be the United States, or any other party, but primarily Bolivia. Bolivian Ambassador to the United Nations Pablo Solon started with a sustained attack on the documents and almost all points of compromise. Cuba later joined in with severe words for both the Mexican hosts and the texts. Venezuela and Saudi Arabia called for longer negotiating sessions to get to the bottom of the disagreements. But otherwise the mood in the hall was overwhelmingly in the other direction. Leaders of small island states, least developed countries, and all major industrialized polluters praised the Cancun Agreements as imperfect but altogether an excellent compromise. They lauded Espinosa’s leadership and marked the agreements as a sound step forward. Indian Environment Minister Jairam Ramesh called Espinosa a “goddess.” Many obliquely suggested trying to end the meeting then and there with a unanimous declaration of consent. While some have oddly argued since that the near consensus was the result of intensive pressure by the United States, the speeches from the floor belie evidence of any pressure and such a contention is at odds with earlier worries that the United States was actually opposed to the final package. For her part, Espinosa ignored the pleas to end the meeting and divided the room back to the two working groups again to ensure that all voices were heard. But when the working groups started at midnight, other than a few minor technical questions, the two sessions mainly consisted of Bolivian Ambassador Solon denouncing the very idea of the Cancun documents and then going on to iterate a series of criticisms of the substance of each document. In both cases, the chairs of these sessions tried to gavel through a consensus agreement on the documents despite the objections and in each case Solon insisted that the consensus rule gave him the prerogative of blocking anything from emerging out of these meetings. The bulk of his arguments were curious. 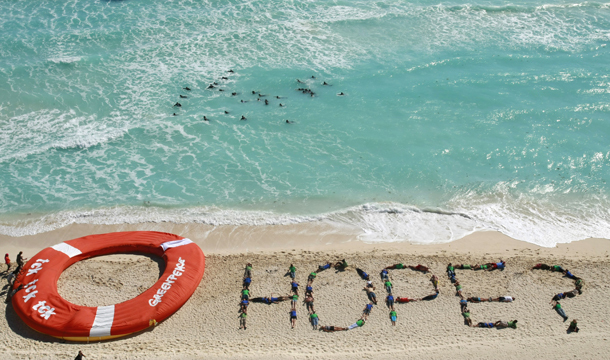 What most had in common was an insistence that any agreement made in Cancun would completely lock the UNFCCC into a disastrous policy choice. For example, Solon argued that the LCA document by itself was completely insufficient to achieve its stated goal of holding temperature increase at 2 degrees Celsius because it had no stated emission targets. While this was true, the text clearly required these questions to be taken up at the next climate summit to take place in Durban, South Africa, in 2011. The Bolivians’ rejection of any pragmatic steps toward progress began to turn the assembled negotiators even more solidly against them. The most vocal were representatives from neighboring Latin and Central American nations who had clearly had enough of Solon’s intransigence. One after another challenged the Bolivians until eventually they voiced an opinion that had not been strongly and publicly expressed though many had expressed it in private: The UNFCCC consensus rule either has to go or be radically reinterpreted. A negotiator from Columbia in the LCA meeting put it most starkly: “Consensus does not mean giving the right of veto to one country." Fortunately, the Mexicans had already decided that if push came to shove they would take a hard-hitting interpretation of the prerogative of the chair in these meetings and simply not allow a single objection to impede an agreement. But what did the Cancun Agreements get us? Primarily they enshrined the gains from the Copenhagen Accord in an official U.N. decision. The agreements established a temperature target for mitigation, a system of MRV, an agreement on forestry and land use, technology transfer, adaptation, and the architecture for a climate fund that apply to all parties and not just developed countries. But rather than being a thin paragraph on each topic, as we had in Copenhagen, the agreements have included detail that will significantly elevate the expectations on all parties for a range of obligations and lock in good compromises for a future hoped for binding treaty. In a companion column to this one, Richard Caperton outlines the details in the agreements on forestry, finance, and MRV. In all cases we see significant improvement in the texts since the negotiating began and massive improvement over the status quo, which was, of course, no agreements on these topics at all. A lot is left unanswered, most critically the gap between the national pledges for reductions in carbon pollution under the Copenhagen Accord and the now-confirmed 2ºC target in the Cancun Agreements. Currently the former are not enough to achieve the latter. But like the Copenhagen Accord before it, the Cancun Agreements do not lock parties in to a pact that would ensure they cannot meet the 2ºC target. Quite the contrary, they create a framework where the gap between national pledges and the overall target must be addressed. In that respect, the substance of these agreements will best be measured over the next year as we see how they help to bootstrap serious discussions over those topics and advance a new treaty to deal with those problems. The agreements also require the parties to take up these issues by next year’s meeting in Durban. But what may be remembered as the biggest success of this meeting may not be the agreements themselves but the success over reforming the process that emerged at the birth of the Cancun Agreements. Many commentators, including myself, have been saying for some time that the UNFCCC has outlived its usefulness as the sole forum for seeking a climate treaty and needed to be complemented with parallel processes to get a climate agreement in the G-20 or the U.S.-led Major Economies Forum. While there is no reason to stop seeking complementary technology development programs and sectoral agreements in these other forums as I’ve been calling for, the Cancun outcome has demonstrated that the UNFCCC’s biggest problem—the consensus rule—could be massaged under the right conditions. One could even hope that the outcome today might lead to a call for a wholesale revision of the voting rules of the convention. After all, this is the only major deliberative body on environmental issues that operates in this way. And though flawed for many reasons, neither the Montreal Protocol, the International Whaling Commission, the Convention on Biological Diversity, nor the Convention on International Trade in Endangered Species work in this manner. From the negotiating floor in Cancun in the wee hours of Saturday morning, many appeared hungry for a similar alternative. Similarly, one can also imagine looking for an alternative because the Cancun outcome could have been so very different. If Bolivia had not wound up being the sole voice of dissent, and if they had been joined by their friends in Cuba and Venezuela, and possibly even Saudi Arabia, their objections might not have been gaveled through with the support of the hall. If the Mexicans had not been such skilled diplomats from the beginning and fashioned a process where the vast majority of parties felt that they had been fully vetted on a compromise package, others might have rallied to the Bolivians’ procedural objections. What is certain, however, is that we finally have an agreement on critical areas of mitigation and adaption that need to be built upon if there is to be any hope for an international climate compact that can get the job done. Andrew Light is a Senior Fellow and Coordinator of International Climate Policy at the Center for American Progress. He has been on the ground in Cancun during the climate talks.